We have never had the luxury of a king sized bed, to be honest, at 5’2” every bed feels king size! Adam however at 6’2” likes to take up most of the room with his long legs and also enjoys putting his freezing cold feet on me. 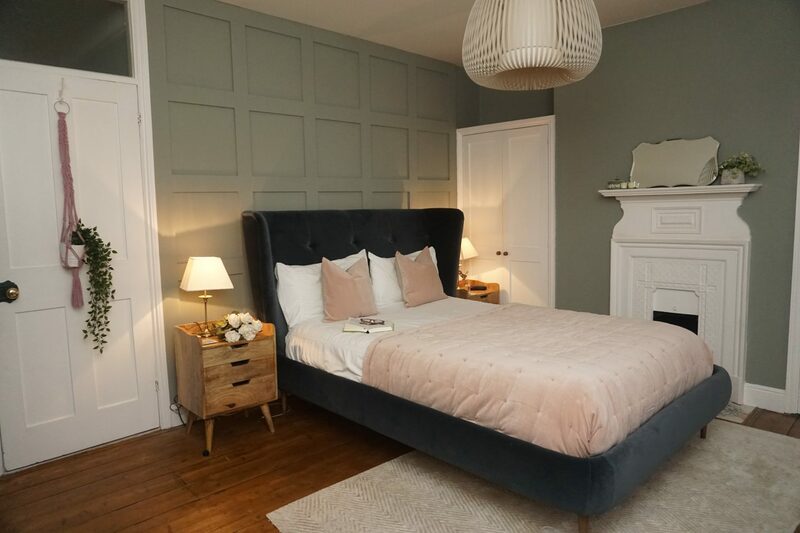 Eve mattresses approached us regarding their new premium style mattress and as it coincided with the arrival of our fab new King sized bed, we excitedly agreed to testing out their latest mattress technology. So why is Eve any different to other brands? 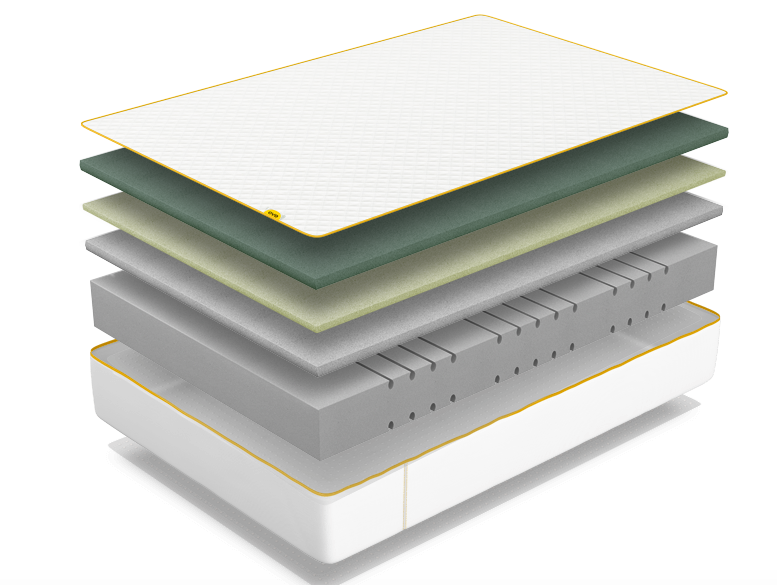 The brand new Premium mattress has a temperature reactive foam which works to cool you down. It has open cell foam, which allows breathability and is also infused with graphite. Graphite! I hear you say, well graphite is actually used a lot in all of our computers and electronics to safely transfer heat away from the source. This mattress works in the same way. It’s also an adaptive mattress making it great for all styles of sleep. Adam sleeps on his back and I normally sleep on my front, although at 6 months pregnant I’m purely side sleeping. I practically need a crane to turn me in the night at the moment due to a large jostling baby but the firmness of the mattress has meant Adam has not been disturbed too much. The top layer has silver knitted through it to keep it anti-bacterial. The top layer can also be unzipped and slung into the washing machine on a 40 degrees wash. Under this top layer are 5 more layers which each have a different job. There’s a floating foam cooling layer, memory layer, support layer to prevent sagging, a base layer which supports all body weights and an anti-slip base to stop it sliding about. I have had quite a few different mattresses over the years and I would say this is the chunkiest one I’ve had. I only noticed when my toddler started to need a foot-up to be able to get on the bed where before she had easily leapt up. Look at the chunky beast! I’d say if you are a fan of a slightly firmer mattress then you will enjoy this one but if you do purchase and are not happy, Eve also offers a 100 night trial and if you decide it’s not for you, they will come and pick it up and offer a full refund. The cost obviously depends on the size you want but a king size will cost £999 in the premium finish. They also have alternative finishes if you’re after something a little less pricey. 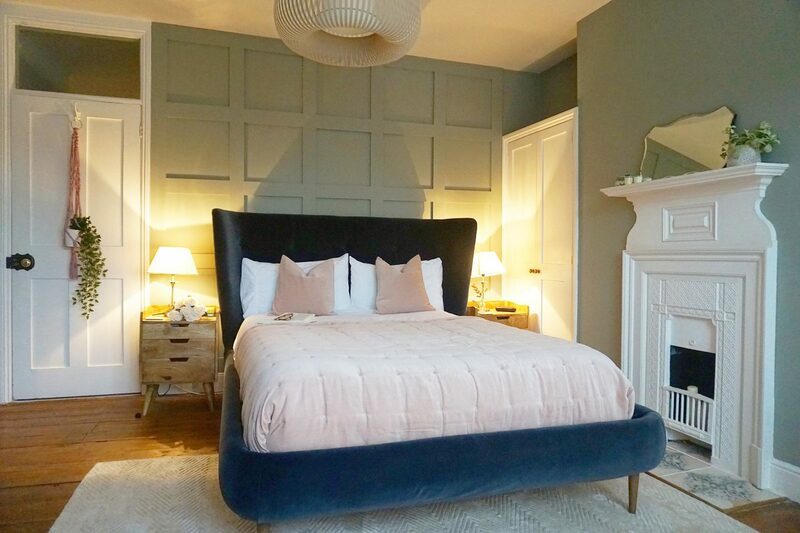 You can shop the Eve Mattress here and they also currently have a 20% discount when you spend £400.